Grouplove produced the ending for BoJack — several endings, actually. And maybe Diane’s message sunk in too deep. Delivered in 2010, Grouplove’s self-titled EP displayed a vibrant, passion-powered mix of emotions — most notably “Naked Kids” and “Get Giddy”. It was the perfect set-up for a collaboration with BoJack Horseman, an equally funky (and depressing) cartoon. Six years later, Grouplove has received a reserved seat in the international indie rock scene. Months and months of anticipation led up to Big Mess, spurring the start of a lengthy tour through Europe and the US. Grouplove is at the height of their popularity, but at what cost? Big Mess is a gigantic change from earlier albums, and also a little bit of a mess. “Welcome To Your Life”, the records first and most popular song, presents a seemingly homogeneous blend of sounds, with less prominent bass than usual. It fits well into the catchy, radio-friendly alternative genre — consequently, it isn’t as powerfully unique as Grouplove’s earlier singles (think “Shark Attack“). It’s ironic, looking at Grouplove’s discography. They were the ones who popularized the term, “Never trust a happy song.” Now they’re all, “We’re back in business, you’re such a big mess / And I love you, yeah, I love you,” every fifteen seconds. Perhaps Grouplove has gone meta. Perhaps they’ve lost ties to their old philosophies. It’s not uncommon — the last time I felt so strongly about a discontinuation in quality was when I bought Gathering Blue, Messenger and Son in Lois Lowry’s The Giver quartet. Like a lot of people, I had to read The Giver for a middle school project. The thing is, I really liked it, and spent the rest of my life until 12th grade hoping for a sequel. Imagine my excitement when I found out there were three. But they weren’t same. 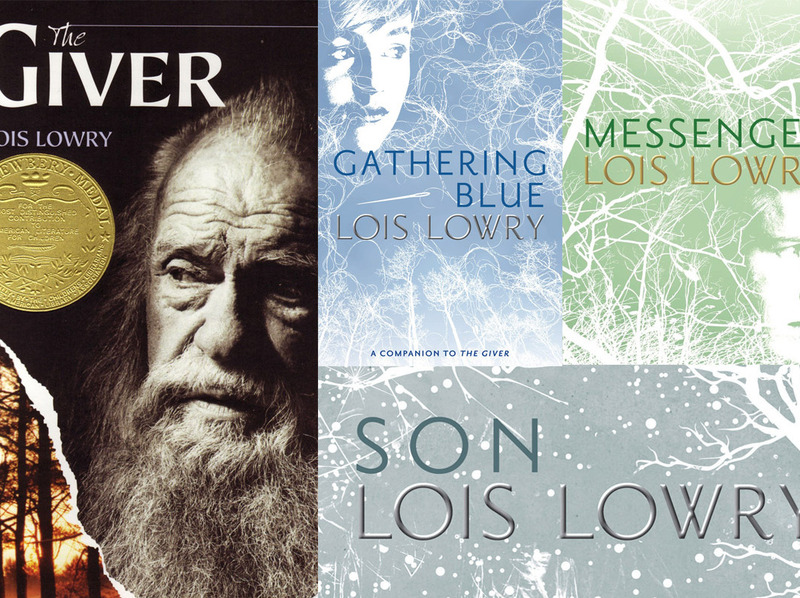 None of the sequels had the same creepy, something’s-not-right feeling The Giver gave me. They felt more like little additions to the original than individual books that could stand on their own. I definitely felt let down by Big Mess in the same way those sequels let me down. “Do You Love Someone” is similar to its predecessor, albeit more reminiscent of original Grouplove vibes. It still skates by with fresh distinctions of past tracks, like the two-minute electronic introduction to “I’m With You” or the twisted guitar solos of “Borderlines and Aliens“. And the lyrics are impenetrable and hard to feel, the opposite of a quality that once separated Grouplove from other ensembles. In contrast, “Standing In The Sun” evokes a familiar longing, tangled with sunny California sound (Gotta say it’s kinda hard to believe in something that’s missing that feeling / Find out how to be collected, put it in a box and send it). It’s the first song on Big Mess that’s a stretch from Grouplove’s typical melodies, but enjoyable and imaginative anyhow. Unfortunately, “Enlighten Me” is bland, even more so than “Welcome To Your Life”. It doesn’t feel like Grouplove — perhaps it was inspired by more pop-ish artists. The thing is, as earlier records have shown, Grouplove should be the inspiration. That said, “Good Morning” is a lovely change. Hannah Hooper’s opening verses are unforgettably fun, and the chorus doesn’t disappoint. It’s comparable to Spreading Rumors glorious, upbeat hit, “Ways To Go“. Subsequently, “Spinning” is a slower number that Grouplove demonstrates well. It shows off one of Grouplove’s key characteristics — expression of somber lines with joy (Here I am / Found my colors in the gray). “Cannonball” is the album’s most energetic track, beginning with a really, really wonderful beat. My first thoughts were along the lines of, Now this is a song I need to hear live. 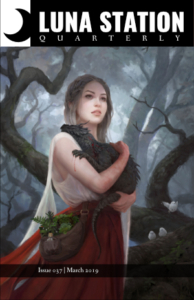 “Traumatized” continues the line of dynamic compositions, with an opening reminiscent of “Horseshoes and Handgrenades” by Green Day. “Heart of Mine” isn’t as hard-hitting, but does boast a few strong basslines. “Don’t Stop Making It Happen” is the most relatable song on Big Mess (You’re the one who got away, and I just can’t let go / How my mom keeps playing games, dropping in before I drop out). I’m a bit obsessed with the pre-bridge lines too, (All the boys, come follow me, come follow me from NYC / And all the girls from the internet, in your private jets, getting wet). Indeed, the tenth track hits a sweet spot between fun and meaningful. “Hollywood” has an opening tune like “Shark Attack”, and is truly as great. To me, it draws a metaphorical parallel between Grouplove and other alternative bands (Hollywood just talks the talk, making movies round the clock / But I got something classical, to keep the people wanting more). Though Big Mess starts on the wrong note, it certainly ends on the right one. The album could be a lot better — more than half of it isn’t of the quality I’d expect from Grouplove. 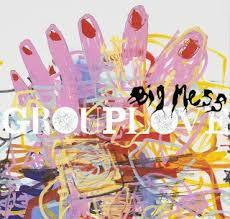 Whether it’s the lack of Sean Gadd or a possible desire for a new sound, Big Mess isn’t as impressive as Grouplove’s previous releases. As a result, I am heartbreakingly nostalgic about the Never Trust A Happy Song and Spreading Rumors days. Yet, for the sake of some seriously cool songs, like “Good Morning”, “Don’t Stop Making It Happen” and “Hollywood”, Big Mess is worth a listen. Prev Luna Station Quarterly Recommended by The Fem!